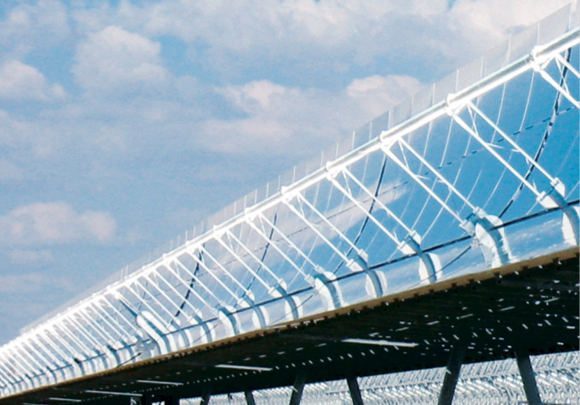 Abengoa's solar projects are being propped up by corruption and cronyism. By now, most people following the continuing saga of the U.S. Export-Import Bank have heard about how it guaranteed loans to now-bankrupt solar energy company Solyndra. Solyndra was a big news story when it went bust, because of the stimulus money it took and the preferential treatment it was given because green energy mandates took preference over sensible investment. But if Solyndra was the poster child for government-sponsored green energy boondoggles, a Spanish company called Abengoa has taken things to the next level. Abengoa is a green energy company based in Spain that took billions in stimulus funding and was heavily supported by loans guaranteed from the Ex-Im Bank. While the bank operates under the pretense of helping American companies generally, its loans are actually required to go disproportionately to politically popular industries, of which green energy is the largest. The fact that Abengoa is not even an American company doesn’t matter, as long as the partisan goal of solar power is pursued with taxpayer-backed dollars. We already know that the Ex-Im Bank favors politically connected cronies, but the blatant corruption within the Bank’s management structure may still surprise some. At the time when Abengoa was receiving these loans from Ex-Im, former governor of New Mexico Bill Richardson was sitting comfortably on the advisory board. At the same time, he also sat on the board of another major institution where his influence could help out his friends at Abengoa. In case you haven’t guessed it already, it was the Ex-Im Bank itself. That’s right, the program that we are assured is necessary to support American small business is playing favorites with foreign companies under the advice of board members with conflicts of interest. It’s cronyism at its worst, and it needs to end. But wait, there’s more! In case all this wasn’t enough to convince you that the Ex-Im Bank acts in a manner that is corrupt and irresponsible, let’s look at some of the activity Abengoa has been engaged in. • Abengoa has violated U.S. law in multiple instances, including infractions related to immigration, environmental regulations, and worker safety. • Abengoa has been busted for health insurance fraud, for putting people on their plans who were not on the payroll. • Abengoa has been charged with intentionally delaying payment on American contracts in order to collect more interest on its investments in Spain - investments funded by U.S. taxpayer dollars. Abengoa is just one of any number of examples of Ex-Im corruption. The deeper one digs into the Ex-Im Bank, the more obvious it becomes that the program is as Barack Obama said in 2008 before incumbency changed his tune, “little more than a fund for corporate welfare.” And a hopelessly corrupt one at that. Excellent Post! Best example yet; to dissolve Ex-Im Bank. Loaning US Taxpayer funds to Foreign companies; who then enter into contracts with US companies and-- ". . . intentionally delay payment, . . . to collect more interest on Spain investments" Outrageous! My company is currently considering a contract with Abengoa; Forget it! Review complete- 'No Bid' submitted.